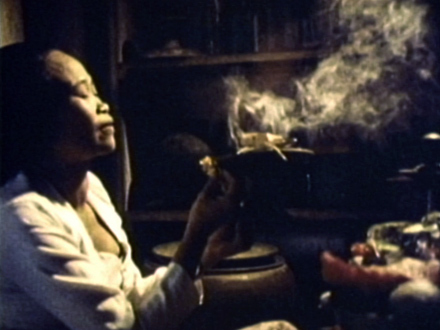 Unlike many spirit mediums, Jero Tapakan practices as a masseuse once every three days, when possession is not auspicious. 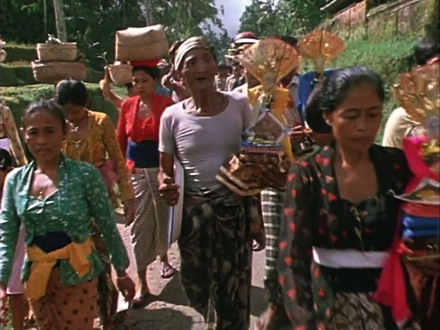 This film focuses on Jero's treatment of Ida Bagus, a member of the nobility from a neighboring town. Jero has been treating her client for sterility and seizures. She begins work this day with religious preparations and the assembling of traditional medicines. Treatment includes a thorough massage, administration of eyedrops, an infusion, and a special paste for the chest. 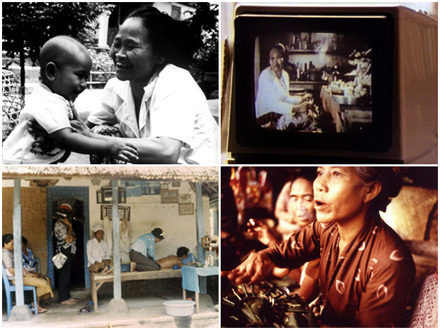 The dialogue, which is subtitled, includes a detailed discussion between anthropologist Linda Connor, Ida Bagus, and Jero, about the nature and treatment of the illness, as well as informal banter between Jero, her other patients, and people in her houseyard. In an interview, Ida Bagus and his wife speak about the ten-year history of his illness and a variety of diagnoses. Jero, who know sustains a lively practice as both medium and masseuse, recalls her earlier poverty and despair as a farmer, and how she fled her home and wandered briefly in the countryside as a peddler. After serious illness and mystical visions, she returned to her husband and underwent a consecration ceremony as a spirit medium. Here she talks with Linda Connor about these experiences.